Race Day Electronics has the perfect solution for three people to listen to the same scanner at the race track, the 3.5mm Y-splitter! 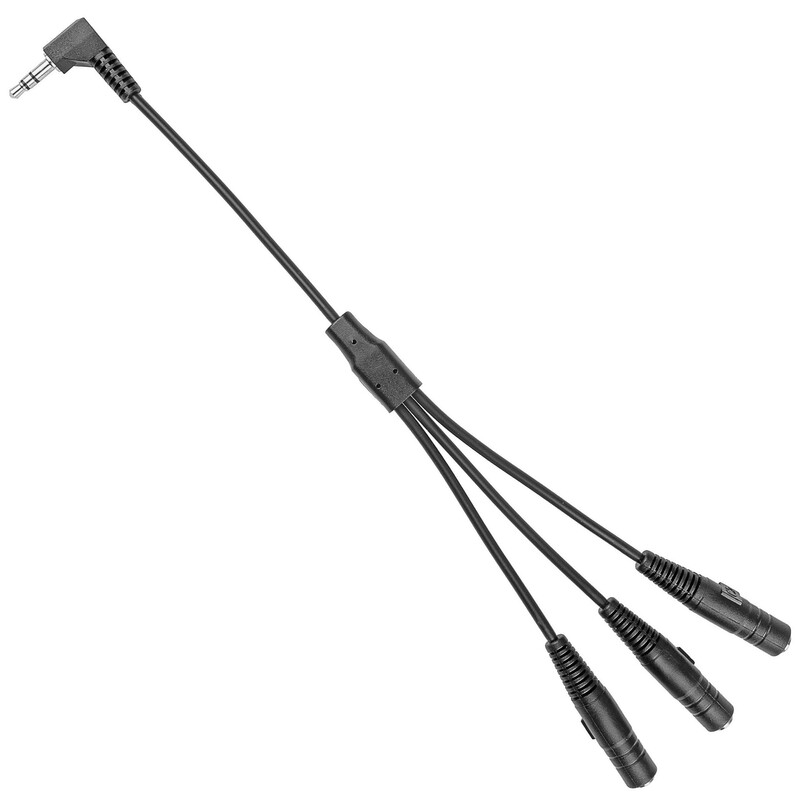 The splitter features three female 3.5mm ends and one male 3.5mm right angle plug. This allows easy connecting of three headphones / headsets into one scanner. Race Day Electronics has the perfect solution for three people to listen to the same scanner at the race track, the 3.5mm Y-splitter! The splitter features three female 3.5mm ends and one male 3.5mm right angle plug. This allows easy connecting of three headphones / headsets into one scanner. It features stereo plugs and measures 10.00" in total length. The length of the leads from the Y to the tip of the headphone connection is 4.69". Cable color is black. Overall packaged dimensions are 6.05 x 4.00" x 0.42".